Create a better after school care experience with easier attendance tracking, payment billing, scheduling and more. Our simple reports to help you schedule staff in advance and makes invoicing parents easy. All EZ School Apps solutions are cloud-based with no hidden fees, zero set-up costs, and a simple web interface for easy navigation. Backed by 25 years of experience, your employees and parents will have the flexibility to check in from any computer, phone, or tablet any time of day. There's nothing to install and no hardware to purchase. We continuously improve our software to work better and we guarantee you’ll always have the latest version with no additional costs. 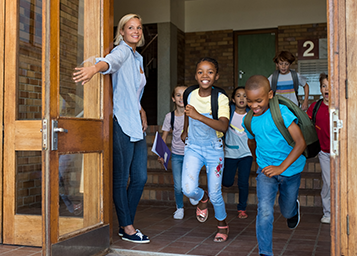 Our EZ After School software enables you to plan and organize your afterschool programs with automatic check-in and check-out times, easy invoicing at the click of a button. Charge per hour, half day, or full day while you save time and get paid faster. WHAT ARE THE BENEFITS OF THE EZ AFTER SCHOOL CARE SOFTWARE? First time users have a 30 day free trial that begins from the time you start using the system, not when you sign up. If you are satisfied, simply continue with the service and you will be billed shortly after. We are confident that when your school implements our afterschool care software it will be easy to use and cost effective. The cost is $1.75 per student/employee per year with a minimum of $695 per school. Discount pricing available for school districts with multiple schools. EZ AFTER SCHOOL CARE F.A.Q. Yes, our after school care software is completely cloud based. You don't need to purchase any additional hardware to make it work for your School. 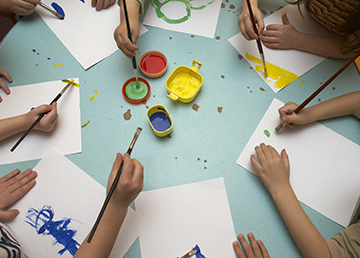 What are the benefits to using EZ After School Care Program software? EZ After School Care Program eliminates the use of paper to manage after school and enrichment classes. Is there a limit to how many accounts can be on the system? There is no limit to the number of parents, children, and employees that can be added into the system. Why is the EZ After School Care Software necessary? Our After School Care software is specifically designed for schools looking for an easy way to handle the assigning of classes and tracking of purchases.